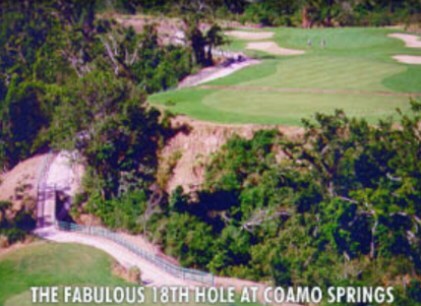 Coamo Springs Golf & Tennis Club is a Semi-Private, 18 hole golf course located in Coamo, Puerto Rico. 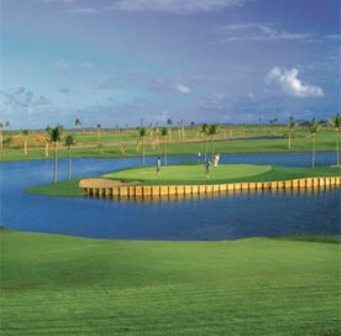 Coamo Springs Golf & Tennis Club first opened for play in 1999. The course was designed by Ferdinand Garbin. The rural southern Puerto Rico town of Coamo sits inland from the Caribbean Sea amid arid, amber rolling hills and growing middle-class residential communities. Coamo's private golf course is right next door to the Coamo Springs and Parador BaÃ±os de Coamo, a comfortable small inn known for its curative natural hot sulfur springs (and a great place to work out the kinks and aches after a game!). The course itself usually usually has a pleasant breeze and features 18 holes designed by Ferdinand Garbin. 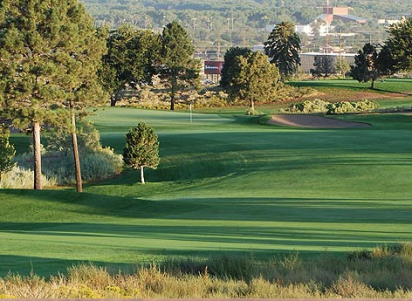 Natural rocks, cactus and desert plantings show a respect for the natural arid surroundings for this moderately challenging course. Blue tees: par-72, 6,647 yards, course rating 73.2, slope rating 134. White tees: par-72, 6,218 yards, course rating 71.8, slope rating 132. Red tees: par-72, 5,377 yards, course rating 72.3, slope rating 120.